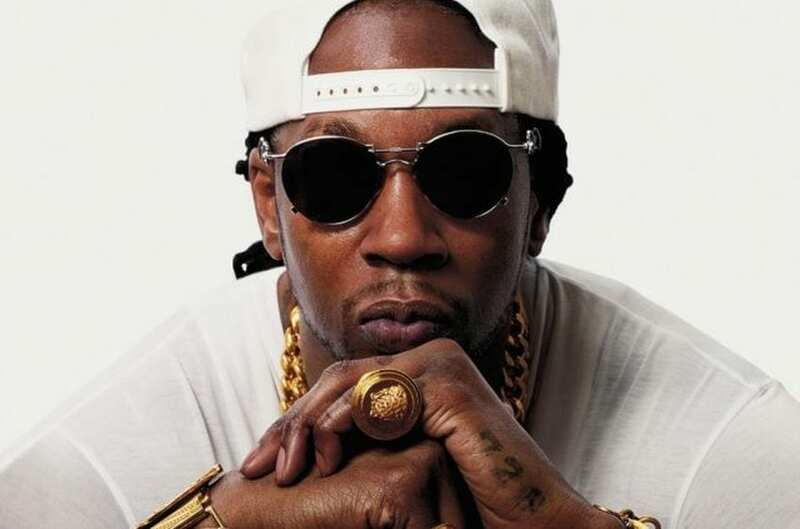 In 2013 2 Chainz is one of the most recognized rappers in the game. He has been called to due features on a variety of albums with today’s top artist who are paying him almost $200,000 a feature. His sophomore album B.O.A.T.S. II debuted at number 1 on iTunes and is expected to sell more than 300,000 copies in the first week thanks to the help of Feds Watching with Pharell. So what does one of the most wanted men in the rap game due with all this attention and money? Well buy Versace, Versace, Versace, of course. 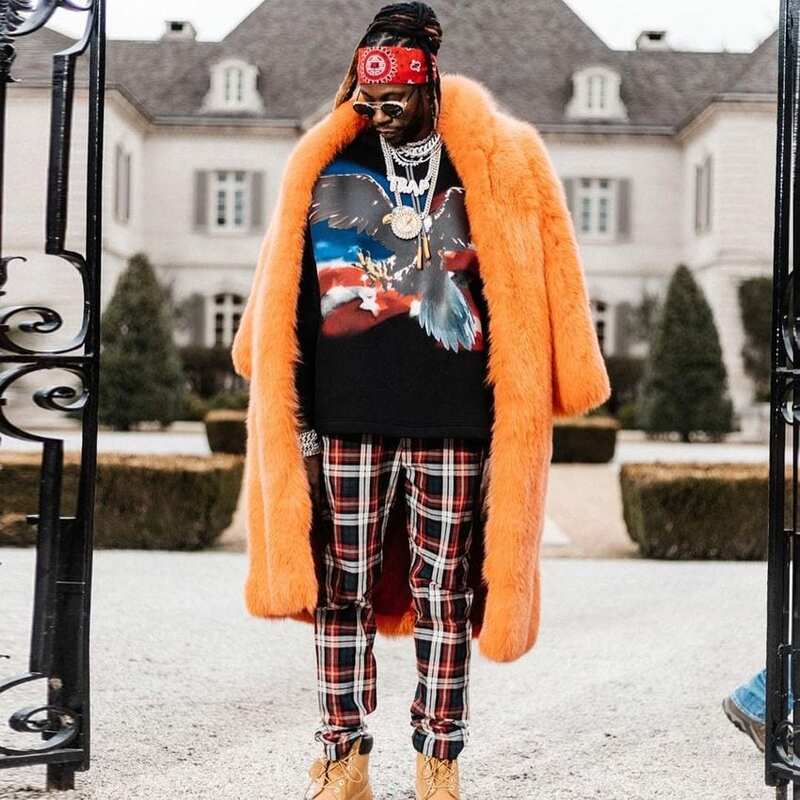 After appearing at the MTV Video Music Awards red carpet rocking an entire Versace printed outfit 2 Chainz stated that he has over $600K worth of Versace jewelry, shoes and clothing in his crib. In 2012 2 Chainz had a number of successful milestones in his career. He performed at the MTV VMA’s, the number 1 album Based On A Tru Story, number 1 single Birthday Song and Mercy and his daughter Harmony was born. He collaborated with the biggest in the industry, Nicki Minaj, Kanye West, Drake and Lil Wayne.There were a few down falls, his best friend passed away and his father died. He didn’t grow up with any siblings or close friends so his father was his confidante. During his childhood he did deal with his absence as his dad was incarcerated. But upon his release Tauheed Epps was the first person he saw. He stayed by his bedside until his death. When he remembers his father he considers him his hero. 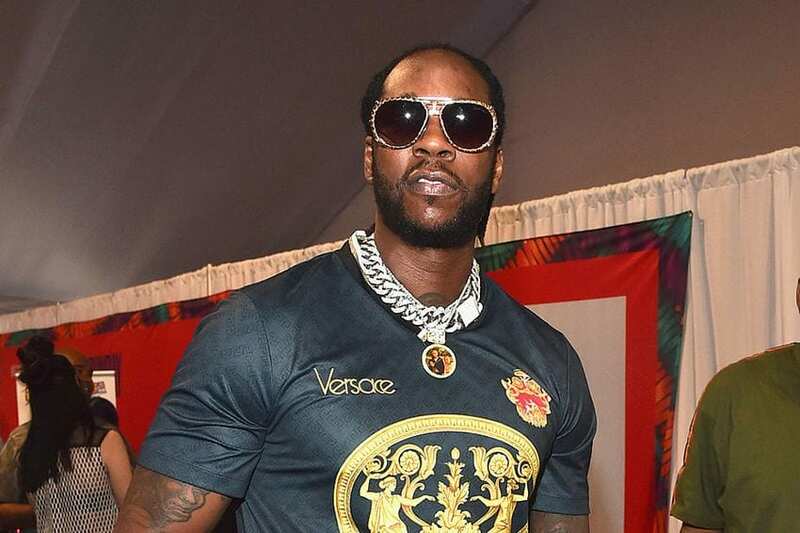 But June has not been a good month for 2 Chainz according to authorities he and his entourage was robbed at gun point in San Francisco. 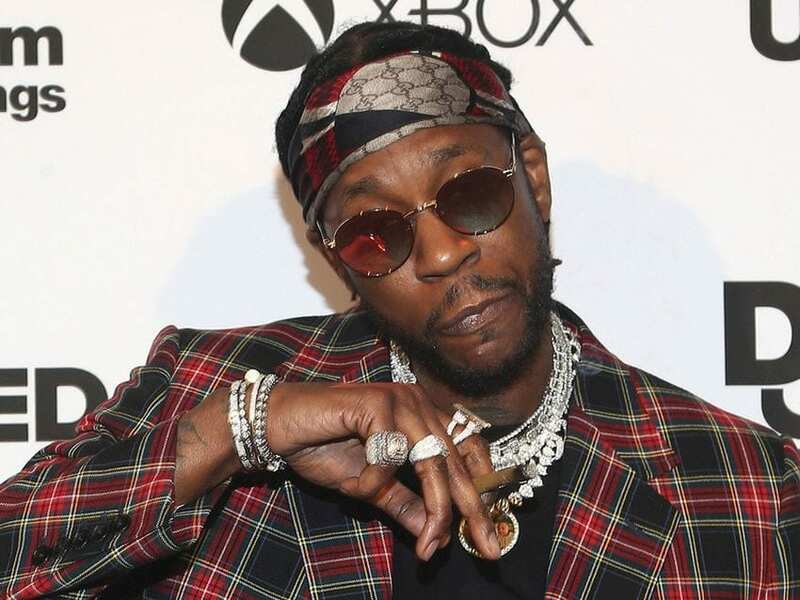 Some even said he was shot but 2 Chainz denied this via tweeting saying “if a rapper was shot he usually goes to the hospital or dies.” But the San Francisco police department did confirm that he was the sole victim of a robbery but none of the victims including 2 Chainz had been cooperating. The investigation is still on going on. Tauheed Epps early life was filled with a series of personal and career struggles. But after selling 588,000 copies of his debut album, being Grammy Nominated for Best Rap album in 2013, winning 4 BET Awards and going on a solo tour selling out all dates he more than likely will make it on Forbes Hip Hop Cash kings list this year. His album and single sales for 2013 topped over 4 million beating out Cash Money rapper Lil Wayne. Although Weezy’s Latest album I Am Not A Human Being was named the most anticipated rap album of the year it’s sells were less than meager having reached only 500,000 this year. Not to mention the album’s biggest single “Rich As F*ck” featured 2 Chainz which means more money for the Atlanta native.